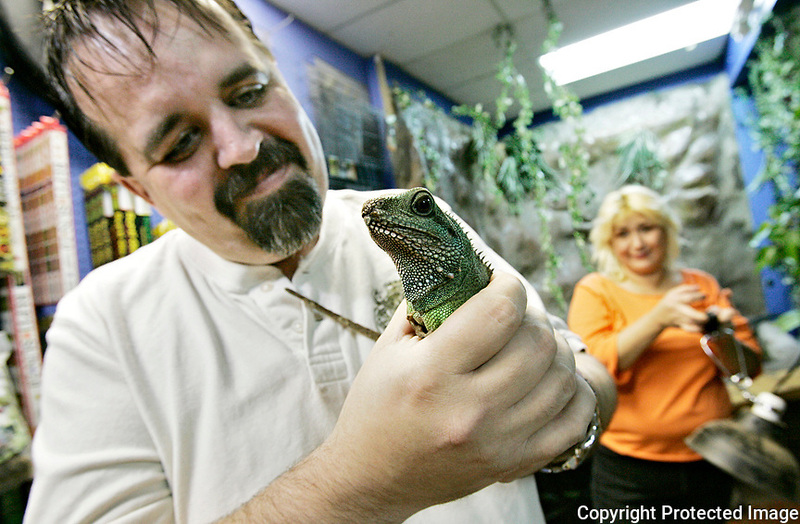 Alex Gresl holds a water dragon at Fin and Gill Aquatic Supplies in Riverdale, while his wife Gail looks on. Yukon Electrical plans to cut off the store's power this Friday. Gresl is behind on his bills.